What if we were to tell you that you have an untapped key to success right at your fingertips? It can drastically cut down your average response time, helping you beat your competition to the punch and boost the number of gigs you win. …This isn’t a trick question— now go on and grab your cell phone! That’s because with our free text-lead feature, you can start receiving incoming gig alerts in real-time! That means ditching the need to constantly login and scan through your inbox. We’ll text you the moment a client’s gig request is submitted. And the faster you’re aware of new leads, the faster you can respond them. Just ask Stratton Photography what a faster response time did for their business! Heads up! 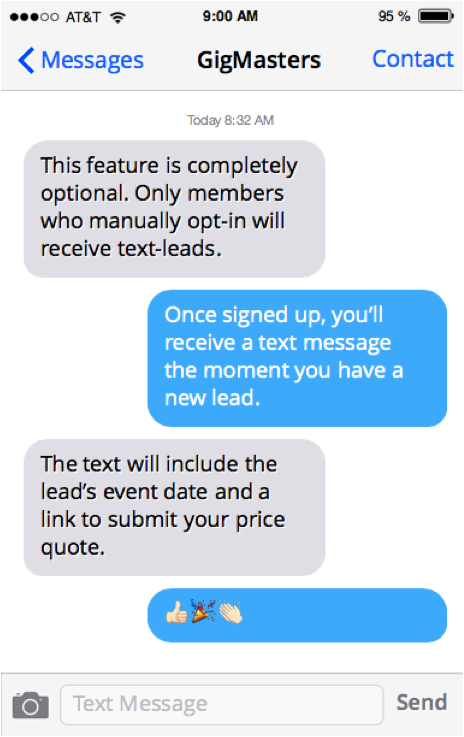 Your text-leads will come from the following number: (203) 916-6816. Please note, we are not able to receive calls or texts to this number. If you need any assistance you can reach out to our Account Services team directly at (866) 342-9794 or info@gigmasters.com. Also keep in mind: There is no charge from GigMasters to receive text message leads. Standard message and data rates do apply (in other words, the normal fees you pay your cell phone carrier to accept texts). 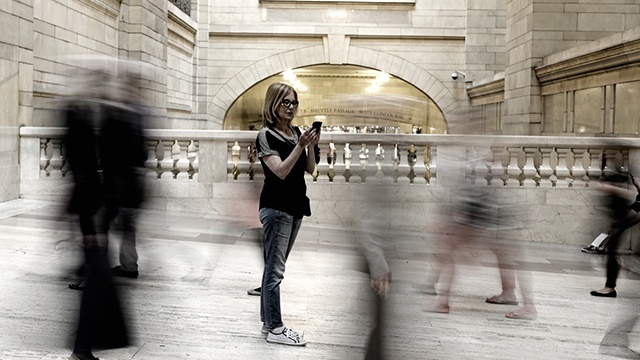 Ready to receive your gig alerts on the go? Find the “Mobile Phone” field and enter the number where you’d like your text-leads to be sent. Text-lead users have shaved an average of two hours off of their response times, as compared to members who haven’t opted in. * In an industry where clients are wanting to instantly lock down vendors, a time-sensitive response can make all the difference between winning their business or losing out to someone quicker to the call. So get those fingers in motion and take advantage of this free feature now! *According to August 2015 data drawn from the GigMasters member base.